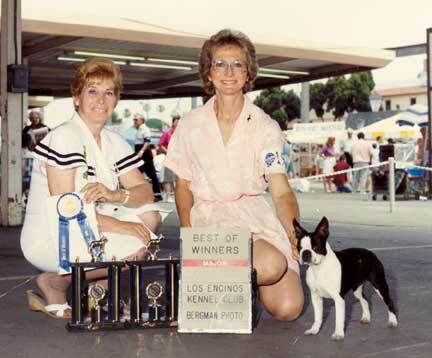 You took the breed and agility ring by storm. 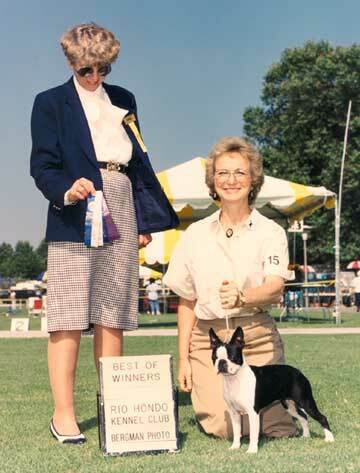 Your were awarded a Register of Merit by the Boston Terrier Club of America for producing at least three Champions of record. We almost lost you in surgery with your last litter of four (you always carried two). 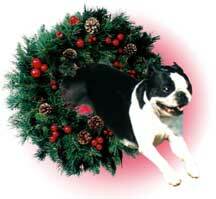 Surprisingly the vet acknowledged feeling the help of our prayers at that time. Seemed you knew that was the last time and it was double or nothing. That litter, sired by Crockett, was a once- in-a -lifetime, all-champion litter found in the foundation stock of many great pedigrees today. You were such an amazing mother. Even after you were spayed, you allowed the sole puppy from another female lacking milk to nurse to bring in your milk. 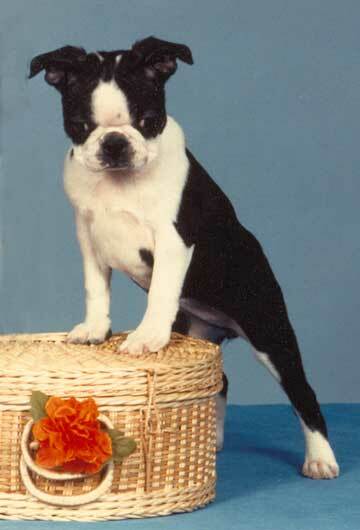 At 8 years of age you were the first Boston Terrier to acquire the AKC AXJ title from the 12" division. 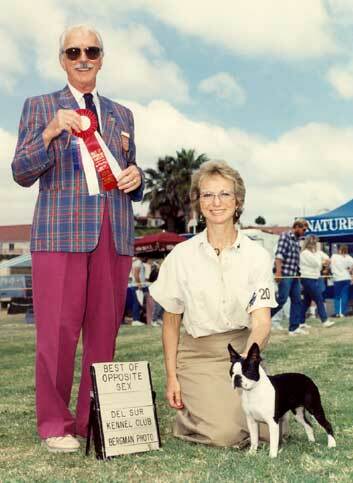 Your son, the infamous #1 Boston in agility, Brandy's Ace High Kid aka Chance, was the second Boston to acquire this title ironically on the same day at another venue. You were our little cheerleader and party girl and sometimes airhead as you would blow out of the weaves with speed and enthusiasm when in full gear on course. Couldn't help but love you so very much and kiss your perfectly beautiful, round and compact little paws as well as your beautiful head. Always happy when your name(s) were spoken and ready to play and spat, especially with the old soccer ball, you had so much heart in spite of the many adversities that ended your agility career all too abruptly. You were an inspiration to all those around you and you are missed terribly and loved beyond words.